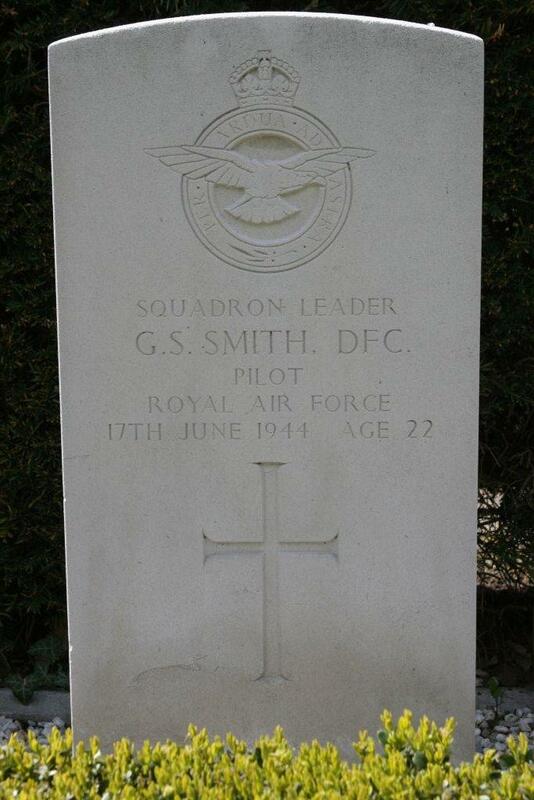 S/Ldr Smith flew with the following crew lost when ME840 failed to return on 16/17 June 1944 from a raid to Sterkrade, Germany. 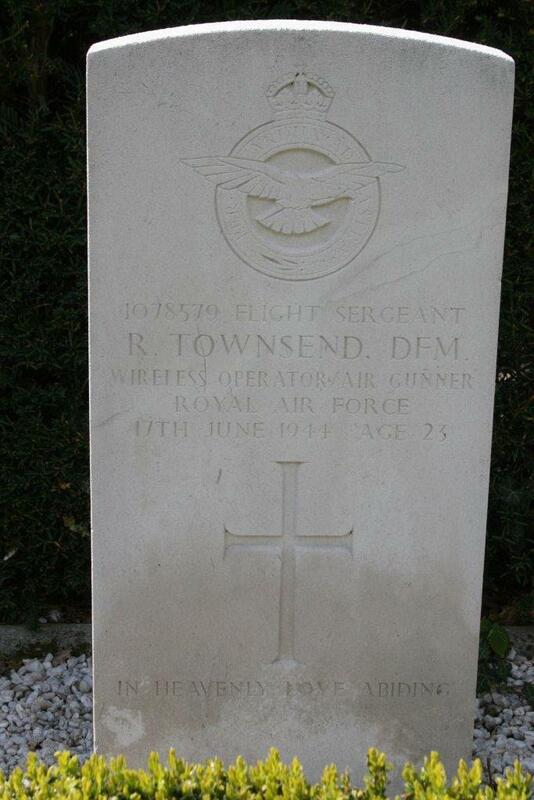 F/O Roy Kay (F/Eng) was the only one to survive the shooting down on the night of 16/17 June 44. 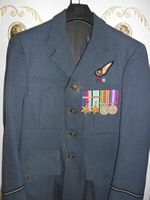 F/O Kay managed to parachute and land safely and, although injured, evaded capture. Leslie Pulfrey Memorial in Aalten. 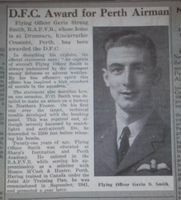 The Aircrew Remembrance Society page for the S/Ldr Smith crew. 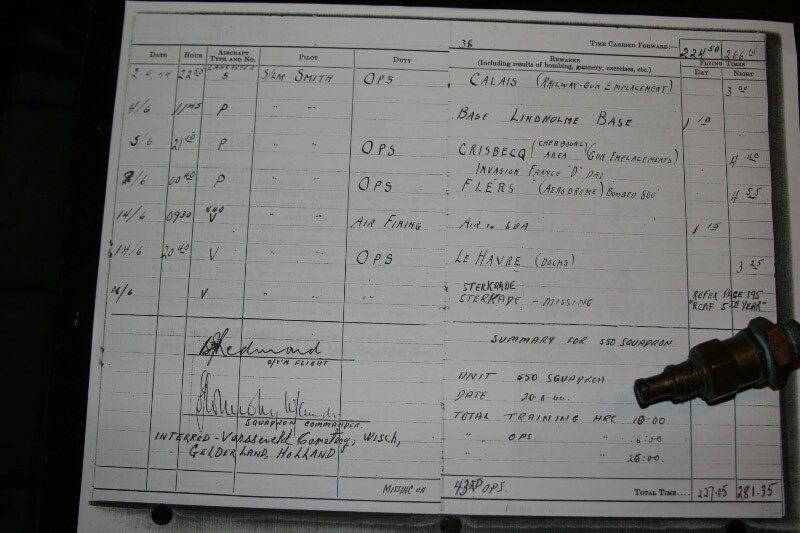 According to this web-page it is believed that ME840 was probably shot down by Oblt. 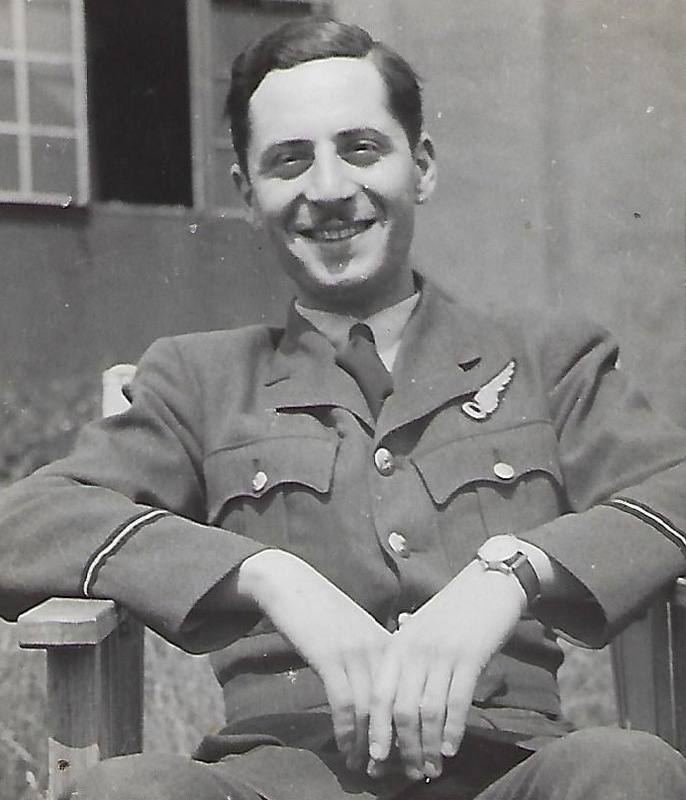 Josef Nabrich of 3./NJG1, with the interception taking place at 6,000 mtrs at 01.49 hrs. The aircraft came down in the area of Varsseveld, Holland. This was the 14th (of 17) victories for Oblt. Josef Nabrich. 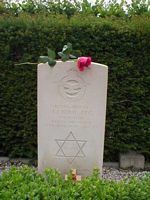 Nabrich himself was killed on the 4/5th November 1944 in a crash near Ibbenbueren/Westphalia after being shot down by a Mosquito. 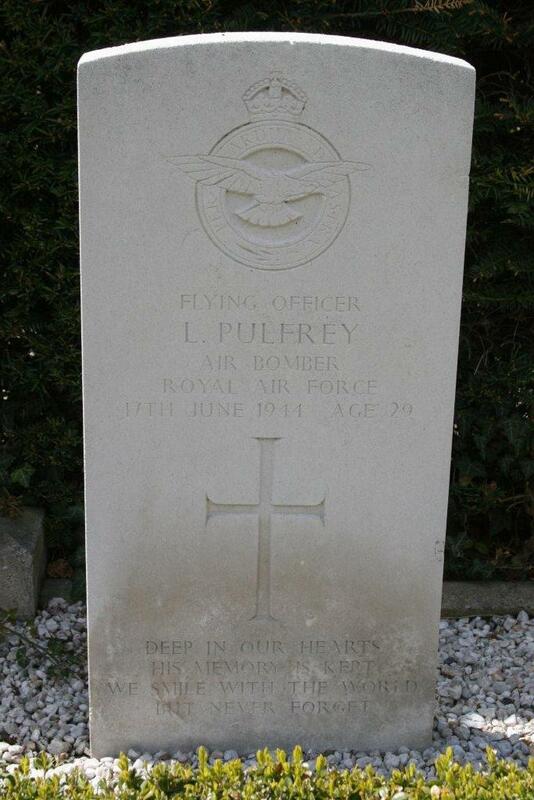 The original 550 web-site also has some details about this crew and crash: see Pulfrey Memoirs. 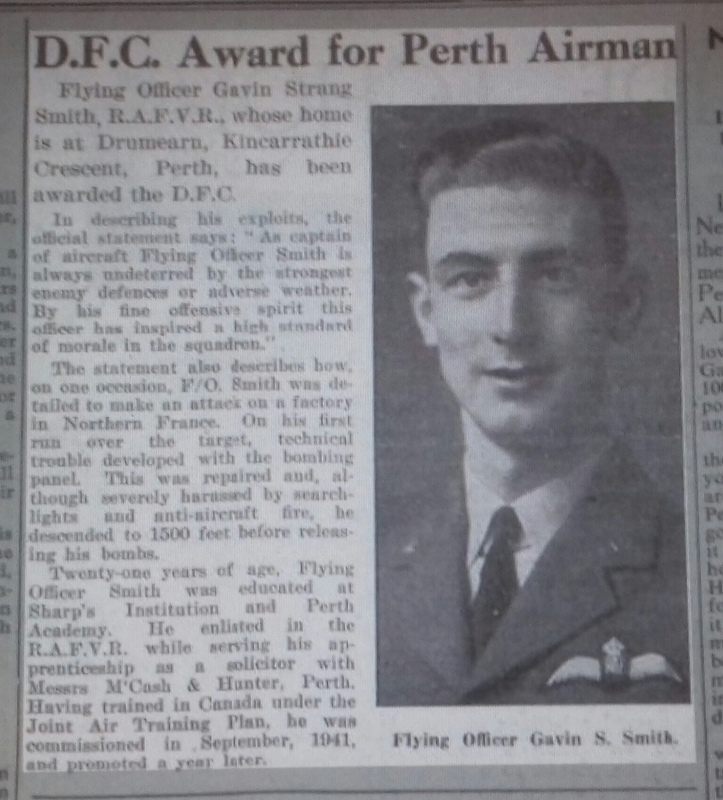 Gavin Strang Smith's DFC gazetted 29/12/42 for service in 142 Squadron. 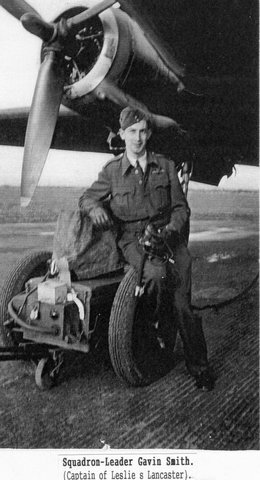 John Joseph Berg's DFC gazetted 12/11/43 for service with 100 Squadron and Ralph Townsend's DFM gazetted 10/12/43 for service on 460 Squadron. 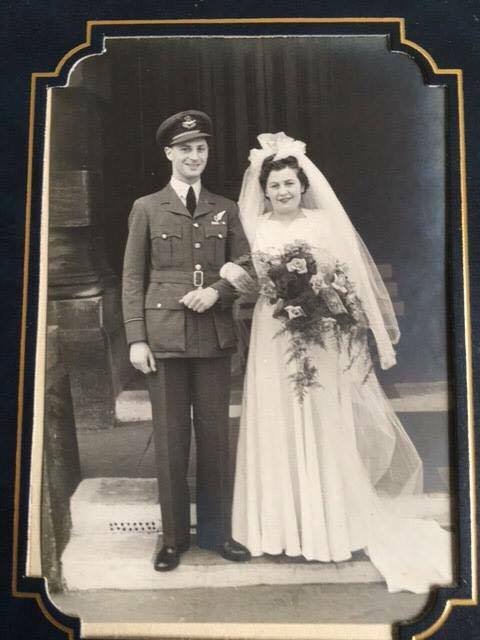 F/O Kay was posted to 550 Sqn on 27/5/44 from No.1 Lancaster Finishing School as part of A/S/L Gavin Strang Smith's crew, which appears to have been an experienced crew with a number, if not all, starting their second operational tour. They were lost on their fifth sortie. 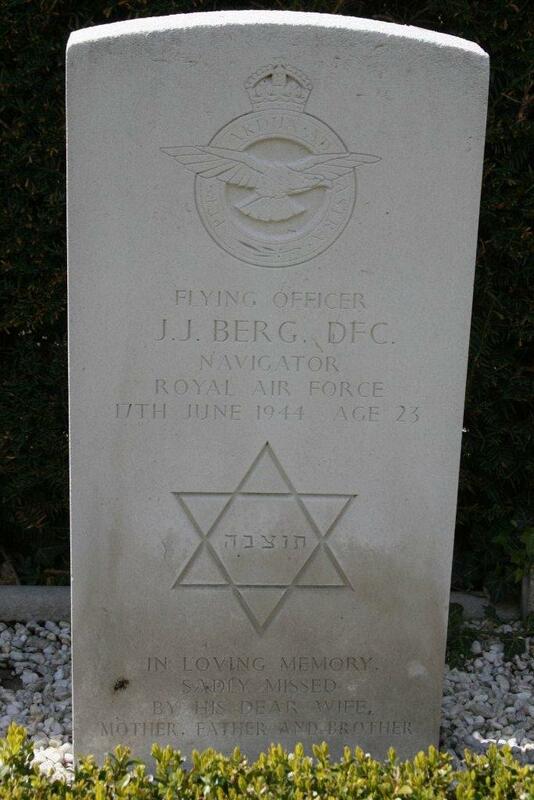 F/O J J Berg, DFC, the navigator in the crew, married just 3 weeks before the fatal crash. 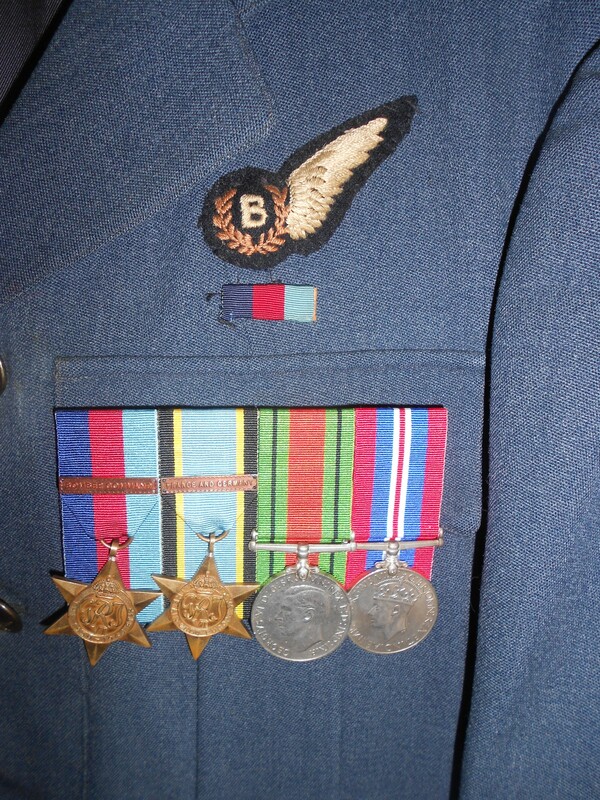 For some unknown reason the aircraft was late leaving the target and fell behind the bomber stream, thus losing any protection from "window" dropped by the other bombers and becoming isolated and easily picked up by night fighters. The first burst from a night fighter set the wing petrol tanks on fire, the crew were ordered to put on their parachutes but before anyone could jump, the aircraft exploded. 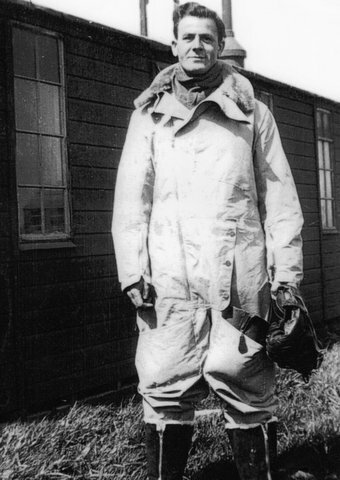 Kay, the F/E was standing next to the pilot and he was blown out of the aircraft and during his descent he "came to" and pulled his parachute ripcord. He must have landed on a farm where the family took charge of his parachute. 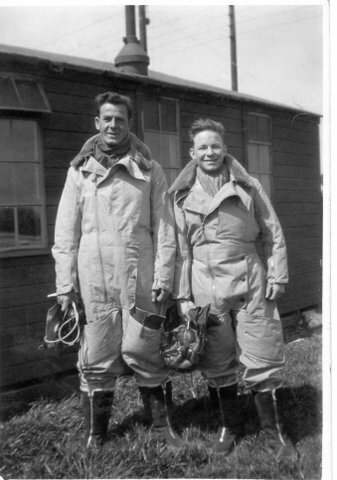 Normally, when aircrew jumped, their first task on landing was to bury or hide their parachute. There was a certain danger in the Dutch family keeping the parachute because, had the Germans found it, the consequences would be fatal. If they were farmers, maybe they had barns or other hiding places. 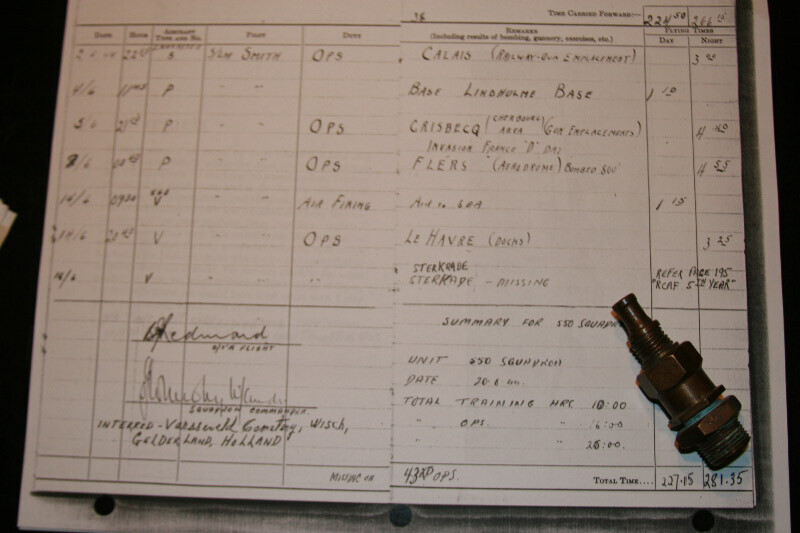 321 bombers went to Sterkrade Oil plant on 16/17 June 44 and 31 were shot down, nearly all by night fighters. 550 lost 3 out of 18 (19 took off from NK but one had to return early). 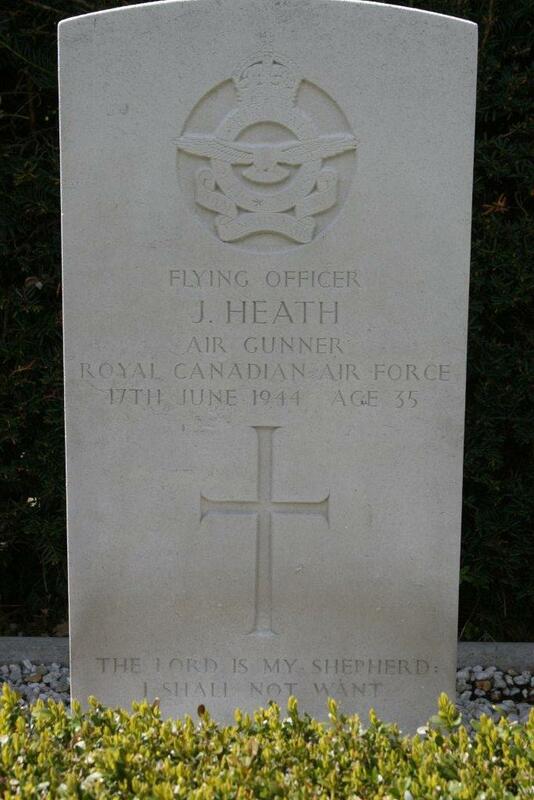 A good night for the German night fighter controller - a bad night for Bomber Command. 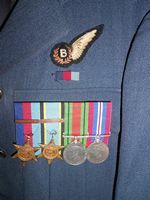 F/O Roy Kay was the only survivor of the crash. He evaded capture with the help of Dutch people in the area of the crash. The story of the immediate aftermath of the crash, evasion and escape back to England, and all that has happened post-war is available here. Thanks to Mark Simpson for the following information (provided 11/02/2017). 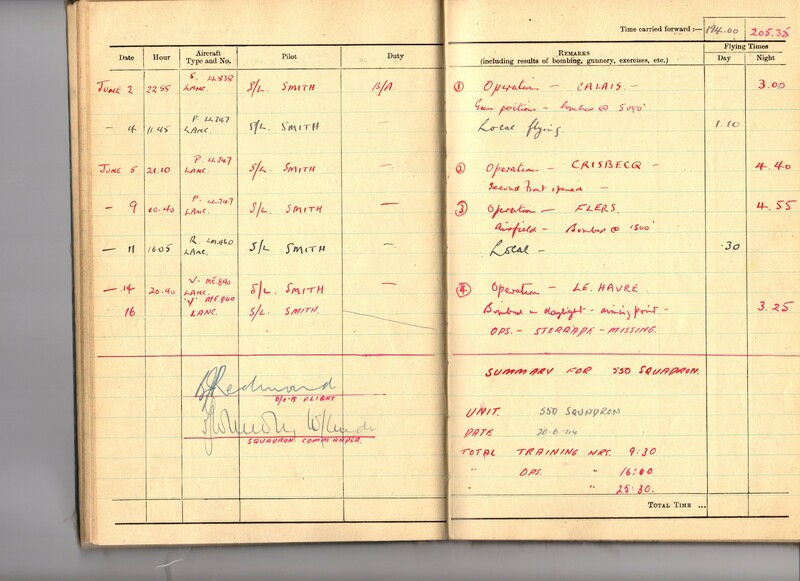 29551 John Joseph Berg was posted in to 100 Squadron from 1662 Conversion Unit 8/5/43 as navigator in the crew of 109046 Arthur Reginald Gersekowski. 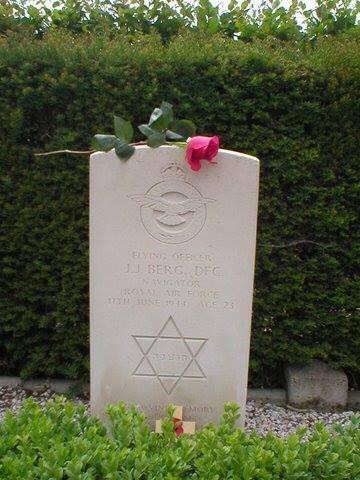 P/O Berg flew his tour of 26 sorties plus two more cancelled between 13-14/5/43 and 23-24/8/43. 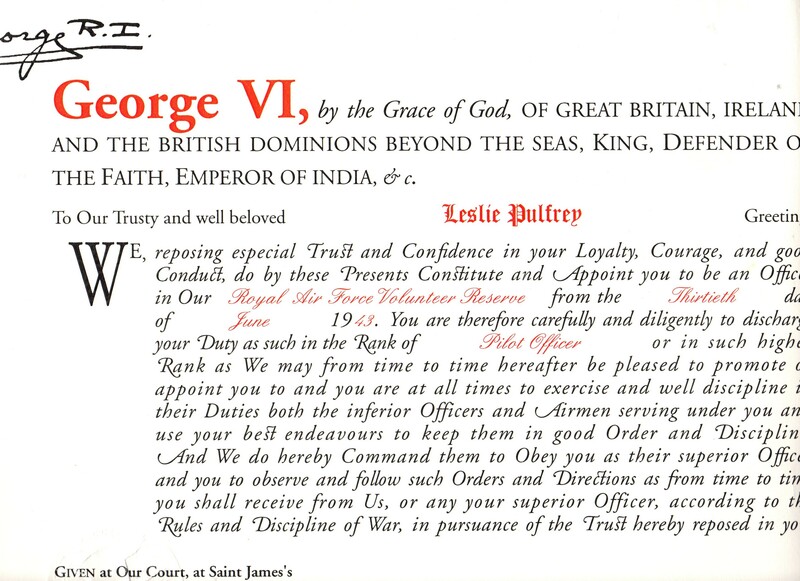 He was posted to 18 OTU on completion of his tour 7/10/43. 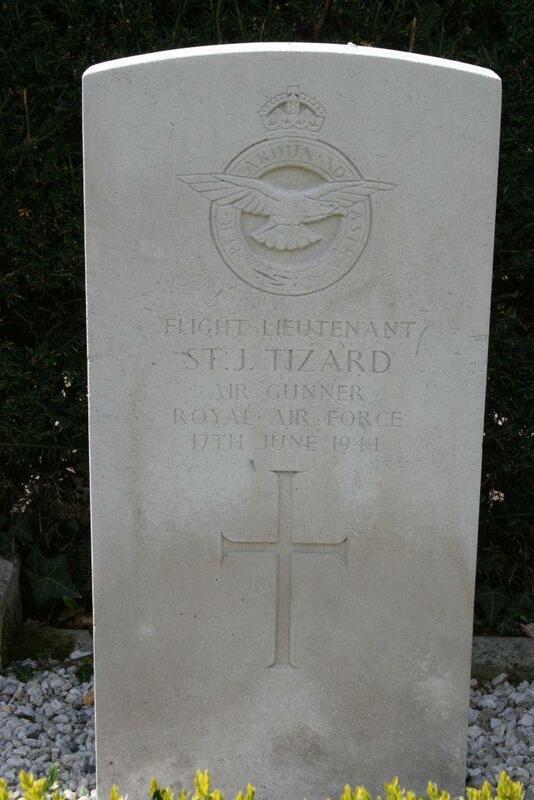 The full list of his operations with 100 Sqdn is available here. 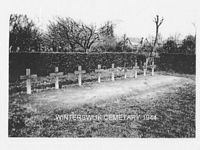 DFCs for both Berg and Gersekowski were gazetted 12/11/43. 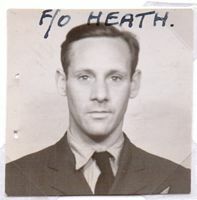 One other connection with 550 Squadron is that on a sortie to Peenemunde 17-18/8/43, the replacement W/Op on the Gersekowski crew was 1312374 Sgt Isiah Levene, who later as 168502 F/O Levene flew his second tour as W/Op on the "Roly" Newitt crew on 550 Sqdn (Newitt being at one point 550 Sqdn Flight Commander "A" Flight). 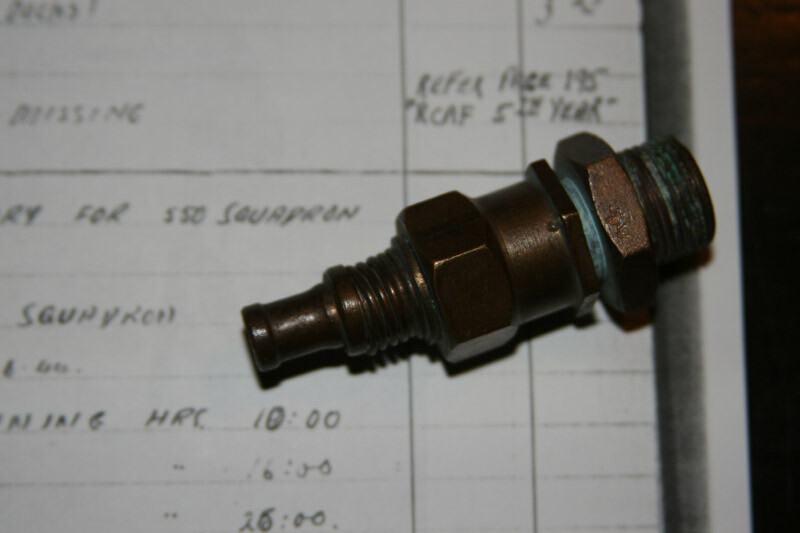 Many thanks to Joe Pinguey for the following images. Finally thanks to Joe Pinguey for the following information. ...while following this special occasion [13th August commemoration in Aalten] something else was brought to my attention. My late mother died 2 years ago aged 94. 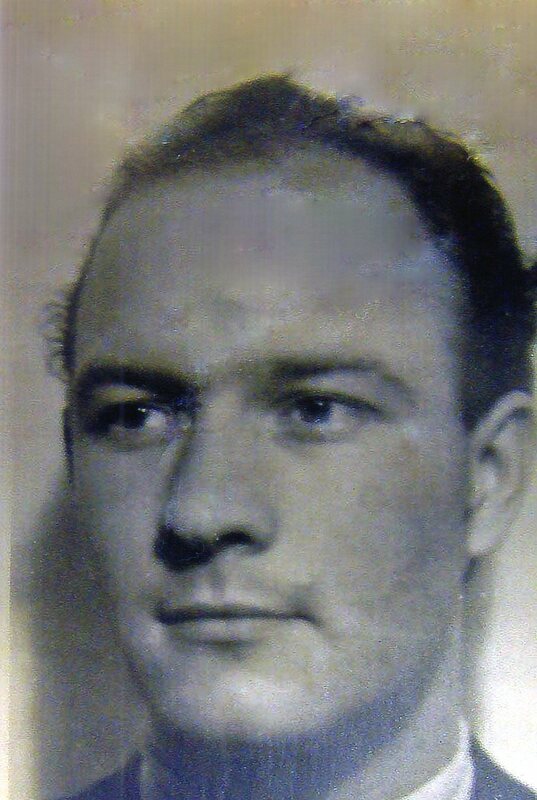 For many years after my uncle's death she tried to find out from Roy Kay what the circumstances were that fateful night, but I gather that nobody including your Association members ever found out. 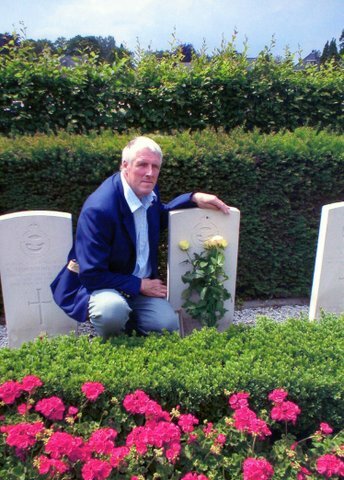 I visited Holland in 2001 and 2004 and became great friends with the van Eerden family who's father found my uncle that fateful morning with his parachute wrapped around his body presuming that his parachute had been damaged or failed to open. After 72 years I was told by Gerrit-H van Eerden, the son of the farmer who found my uncle, that there were bullet wounds on my uncle's body and the son, Gerrit-H, had been sworn to secrecy not to tell me until recently, I am only glad that my Mum passed away before this was disclosed. Photos kindly provided by Jacques Ploeger. Photos kindly provided by Joe Pinguey (nephew of F/O Pulfrey). Over the years there have been a number of commemorations for the crew of ME840. 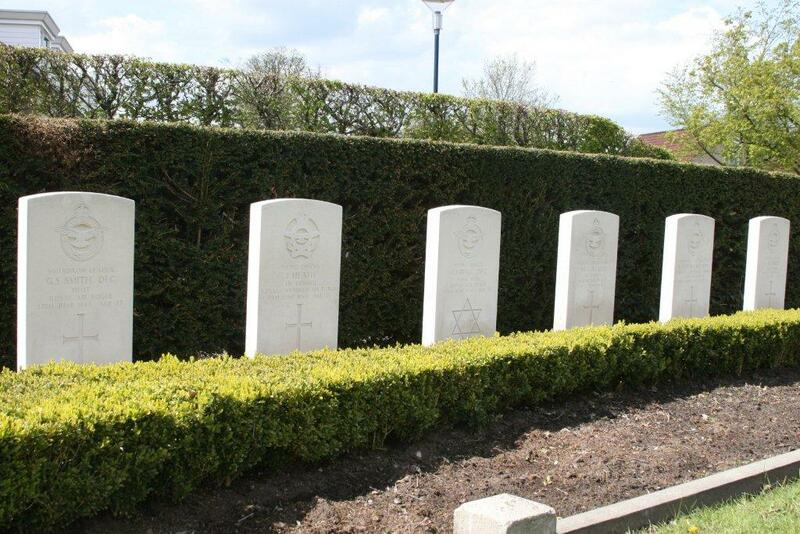 See the Commemorations web-page. 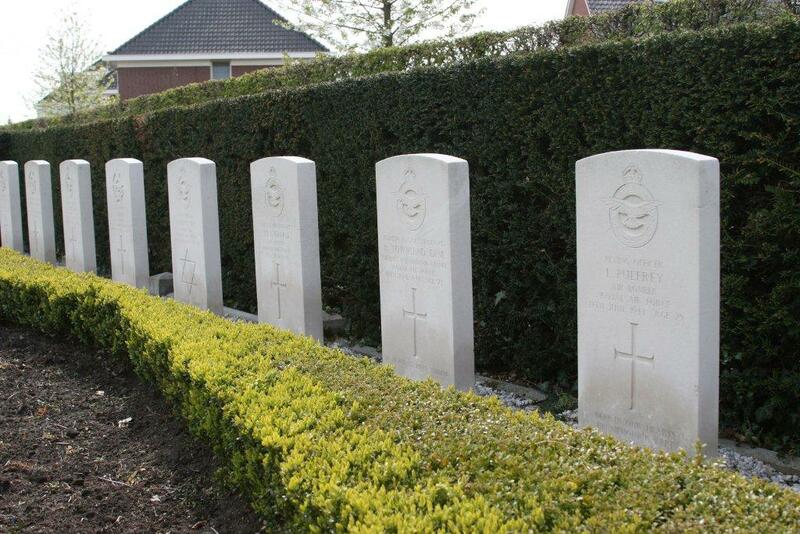 For example, there have been fly-pasts by the Dutch air-force (1999 and 2014), and culminating in June 2018 with the unveiling of a Memorial Plaque at the crash-site.